!! 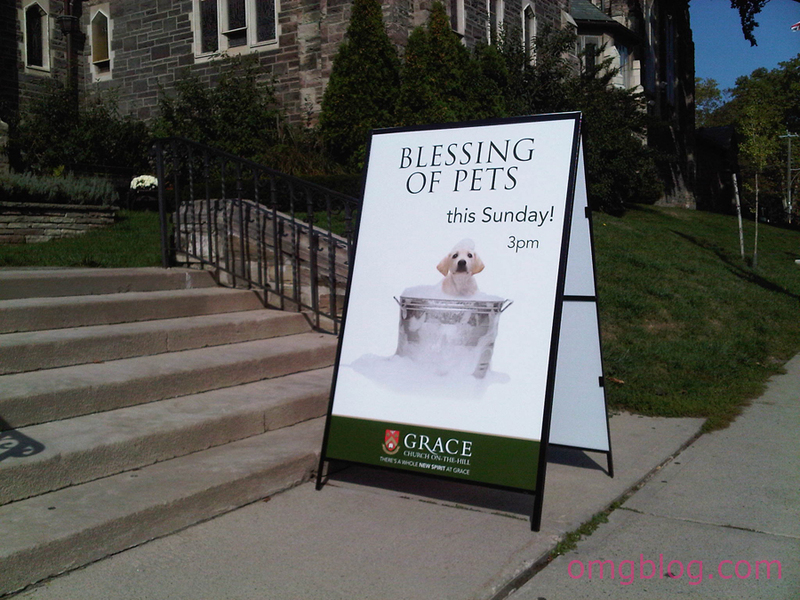 OMG, how important: Pet Blessings !! 1 Comment on "OMG, how important: Pet Blessings"
I live in Spain and they do this once a year with pets and farm animals (people actually bring goats to the church). They also have a day where they bless your cars and tractors. It’s bizarre. That’s good old fashioned Catholicism for ya.